Professor Paul Milewski and Dr Karim Anaya-Izquierdo have secured São Paulo State Research Foundation funding. The FAPESP Award will allow Professor Milewski to advance work on fluid dynamics. Photo Credit: John Bush Lab, MIT. Following the second call for applications to the Bath–FAPESP SPRINT (São Paulo Researchers in International Collaboration) initiative in 2016/17, we are delighted to announce the proposals submitted by Professor Paul Milewski and Dr Karim Anaya-Izquierdo, both from the Department of Mathematical Sciences, have been funded. The FAPESP funding award builds on Bath’s successful partnerships in Latin America and the vibrant research connections our academics have forged with colleagues in Brazil. FAPESP is a public foundation with the mission to support research projects in higher education and research institutions. We have had a Cooperation Agreement with FAPESP since 2013, which has facilitated collaborative research and research staff mobility. 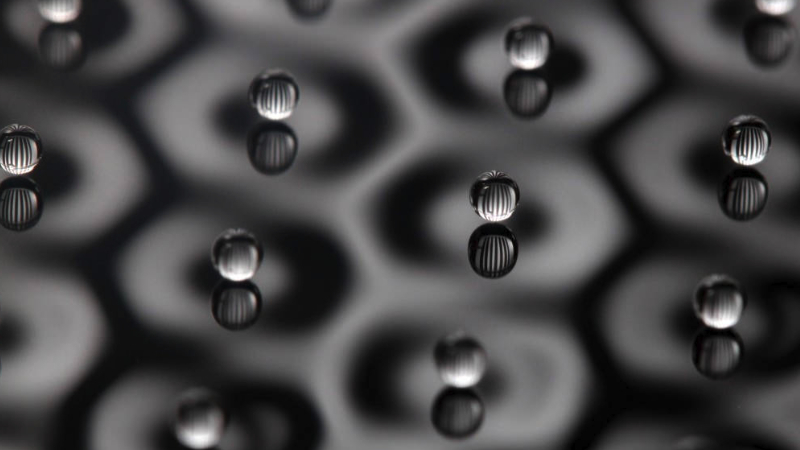 Professor Paul Milewski, Head of the Department of Mathematical Sciences, is furthering collaborative research with colleagues at University of Sao Paulo (USP) on the dynamics of fluid droplets. “This FAPESP award will initiate a collaboration between the Institute of Mathematics and Statistics (IME) at USP and the Department of Mathematical Sciences at the University of Bath. IME is a world-class institute within the top-ranked University in Latin America. "We will collaborate on foundational research on dynamical systems in fluid dynamics, and also engage more broadly to extend the range of future collaboration between the two institutions”. Dr Karim Anaya-Izquierdo, also from the Department of Mathematical Sciences, will be collaborating with colleagues from USP on the statistical analysis of important survival data, such as that of transplants for end-stage liver disease patients, in order to improve the corresponding allocation.